You'll be £25.00 closer to your next £10.00 credit when you purchase 1813: Empire at Bay. What's this? 1813 was a critical year in the world war that ended with the downfall of Napoleon. In a series of major battles the converging armies of the Sixth Coalition drove the French forces back. 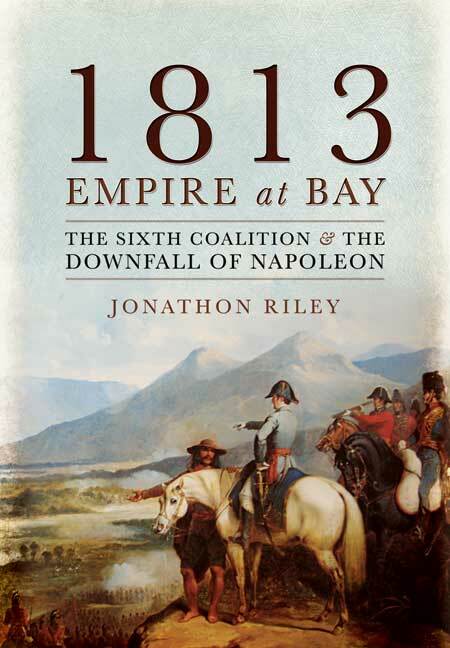 This was the year in which the balance of power tipped decisively against Napoleon's First Empire, and that is why Jonathon Riley's highly readable and timely new study is so important. He covers the operations in central Europe and Spain, where the allies broke French power, humbled Napoleon and laid the foundations for the Congress of Vienna and the European settlement that endured for the next fifty years. In particular he focuses on the operation of the Sixth Coalition - Austria, Prussia, Russia, the United Kingdom, Portugal, Sweden, Spain and the smaller German states. This was the prototype of all uneasy modern coalitions, with their troubled command relationships, disagreements on strategy and operations, and clashing political ambitions. At the same time he reassesses the performance of Napoleon himself who was also an alliance commander, for his armies included not only Frenchmen but also Poles, Danes, Italians, Germans and a host of other contingents. In graphic detail he covers the 1813 campaigns which have received less attention than those of 1812 and 1814/15 in spite of the fact that all the decisive moments came in 1813 – save for one: Waterloo. These moments included the Battle of Vitoria, which expelled the French from most of Spain and, in Germany, the battles of Lützen, Bautzen, Dresden, and Leipzig where half a million men fought for six brutal days. Jonathon Riley's masterly reassessment of this pivotal year in European and world affairs will appeal to readers who are fascinated by the Napoleonic Wars and to students of military history, strategy and the operational art. The book scores in the excellent narrative arc. The story is told well, and the writing is first rate, covers everything one could expect. This volume represents a comprehensive overview of all the major campaigns and developments of 1813. It is hard to imagine a better description of events as they unfold and the impact of each on the situation. It is a superb primer. Highly recommended.